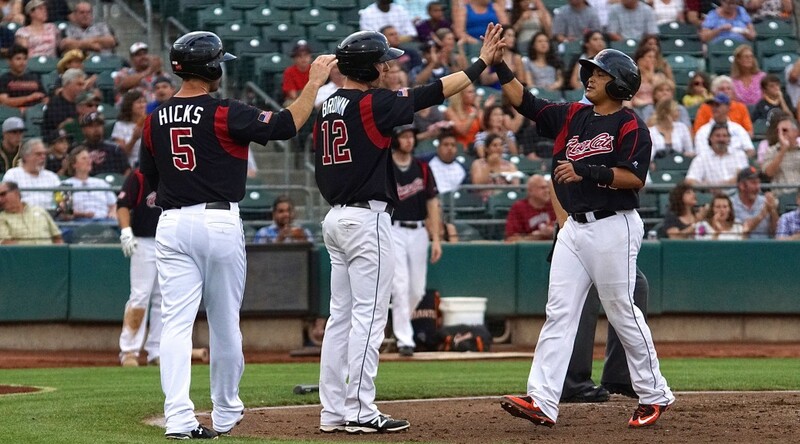 West Sacramento, CA – The Sacramento River Cats are excited to announce a cross-level scrimmage against the San Jose Giants, the class-A affiliate of the San Francisco Giants. The two teams will go head-to-head in a scrimmage at Raley Field on Wednesday, April 5, just one day before Sacramento’s Opening Day. Tickets for the game start at just $5 and are available now at rivercats.com. This pre-season scrimmage is an extension of Spring Training and is likely to feature many of San Francisco’s top prospects. Christian Arroyo and Tyler Beede – the system’s top two prospects – are expected to take the field for the River Cats while 2016 first-round pick Bryan Reynolds (No. 4 prospect) may start for the San Jose squad. Other prospects likely to be involved in the game include Joan Gregorio (No. 7), Jalen Miller (No. 15), Heath Quinn (No. 17), and Sacramento fan-favorite Austin Slater (No. 22). First pitch on Wednesday, April 5 at Raley Field is set for 6:05 pm. Gates for the game will open at 5:00 pm with parking lots to open at 4:30 pm. Parking will be $5. General admission tickets start at just $5. There will be a $10 ticket option which includes a general admission ticket, a hot dog, chips, and a soda. Tickets can be purchased online at rivercats.com. All River Cats season ticket members will have tickets to the exhibition game included with their plan. For more information please email tickets@rivercats.com or call (916) 376-HITS (4487).